North Dakotans are known as meat and potato eaters. And few things taste better after a hard day’s work than a thick, juicy cut of steak! In North Dakota, we love our beef. If you are in the mood for a hearty cut of meat, you can do no better than sitting down at one of the following great steakhouses in the state. Cork ‘N Cleaver has been a Fargo gem since 1970s, serving up some of the best cuts of meat around. If you really want to treat yourself, order the Cork’s Pride, a special 14-ounce center cut taken from the tip of the sirloin swirl. You will never visit another steakhouse again. The western part of North Dakota is known for its cowboys and love of the outdoors—a lifestyle that demands a good steak. 40 Steak & Seafood serves up some of the best. With a menu that includes a King Cut Cowboy rib eye and bone-in New York strip, you will easily find something that satisfies even the heartiest of appetites. If you are looking for an elevated dining experience that will still leaving you satisfied, Peacock Alley is for you. 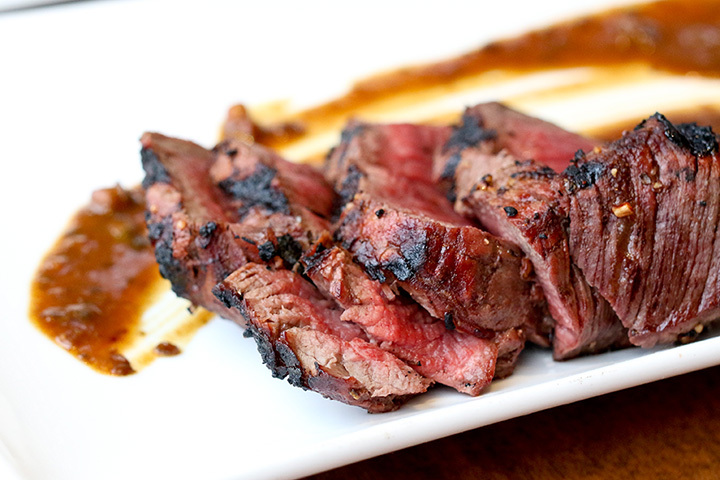 Their diverse menu includes a 10-ounce Ribeye, seven-ounce hanger steak, and Cowboy rib eye. A wide variety of burgers, ice-cold beer, and elegant wine completes their menu. What is better than a steakhouse that has its own signature sauce? The short answer? A 16-ounce sirloin cut to your specifications in house. Jack’s Steakhouse does one thing and does it better than just about everyone else. Not on the mood for steak? Try the mouth-watering pork chops or prime rib. A Devils Lake treasure since 1946, the Ranch Steakhouse may not have the nation-wide billing as that found with other steakhouses, but the quality of their menu can stand up against the big boys. Try the 10-ounce top sirloin or the nine-ounce filet mignon for a real treat. Family owned and operated since 1988, the Speedway is Grand Fork’s authority on all things steak. Don’t believe me? Try the 12-ounce New York strip or rib eye and you will be converted. For those non-steak lovers in your group, the Speedway is also known for its wide variety of burgers. Another western North Dakota treasure, Outlaws will make you feel like you are back in the old Wild West, complete with a steak that will ruin you for other restaurants. Give the Wild Bill Hickock wings a try for starters and round out your meal with the Winchester (an olive butter crusted rib eye) or the Doc Holliday (a petite filet). If you are adventurous, order The Teddy (a 54-ounce long bone rib eye). Built in 1970 as a replica of an old plantation Hacienda, you will find much more than just good food at the Hacienda. With an atmosphere that will transport you back in time and a menu that includes a 26-ounce T-bone and 16-ounce sirloin, a visit to the Hacienda will give you a unique dining experience you won’t soon forget.